Chapter 5 How Can Students Learn from Failure? 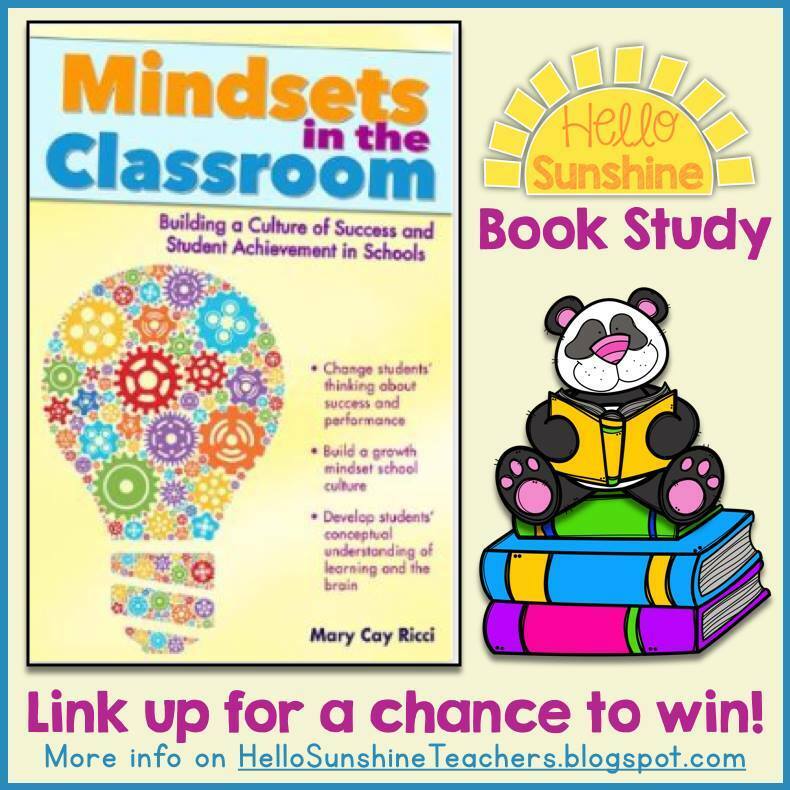 This is the book study for Mary Cay Ricci's Mindsets in the Classroom. Failure. To many it sounds like a bad thing, right? Actually it is not! Sound odd? Take a look at the video below. The first page of the chapter describes this scene from Disney's Meet the Robinsons. 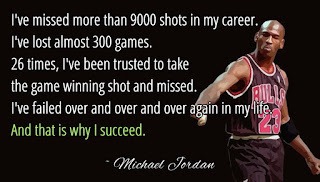 It is a great way to react to our student's failures. A message like this will help our students not dwell on their "failures" but rather try harder next time which also means they don't give up! This along with learning about the brain and how the brain works will help our students deal with "failure" in a positive way. I had an "A ha" moment when I read the line in the book where Ricci said "It is imperative that teachers develop a climate in their classroom where failure is celebrated and students learn to reflect and redirect so that they can approach a challenging task in a new way or with more effort." I've never celebrated failure but this year I will! Unfortunately I'm going to have to revisit my classroom's Treasure Box. Why? To get my kinder kids to do many things I use extrinsic rewards quite often. Extrinsic rewards, as defined in the book, is outside incentives provided to a person by another individual or source, such as money, certificates, or prizes. My Treasure Box if full of old McDonald's toys. I started collecting them when my kids (now 11 and 9) would play with them for a little while and then not touch them again. I collected many and they now wait in the box for my kinder kids who earn Table Points all week long. My students are not motivated to clean up or help each other because this is what they are supposed to do but because they want win a prize. Very wrong! Students should have personal satisfaction when they accomplish something, also known as a intrinsic reward. 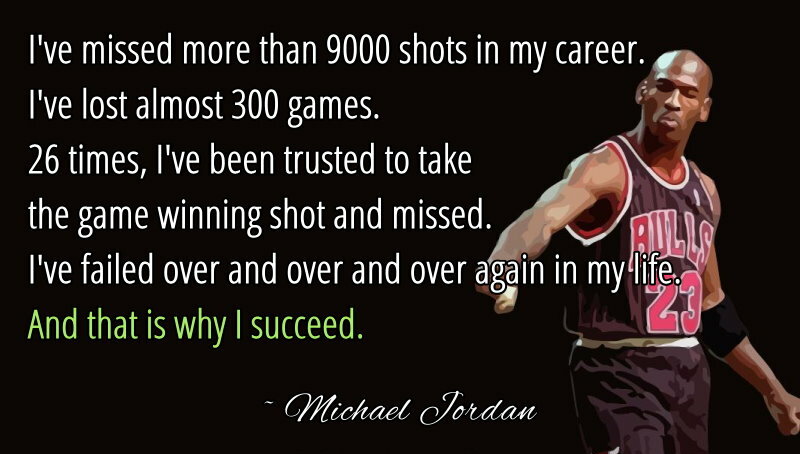 Many people know Michael Jordan as a basketball great but we don't know all the disappointments that he experienced along the way. He never gave up! He kept trying! This is the message I am going to take back to the classroom. 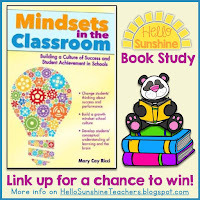 Don't forget to link up with the Hello Sunshine teacher blog to follow this book study! Next up is Chapter 6: What Messages Should Parents Hear About Growth Mindset?